Fast-forward just a few months to early 2015 and a student survey demonstrated just how big a difference the development is making. 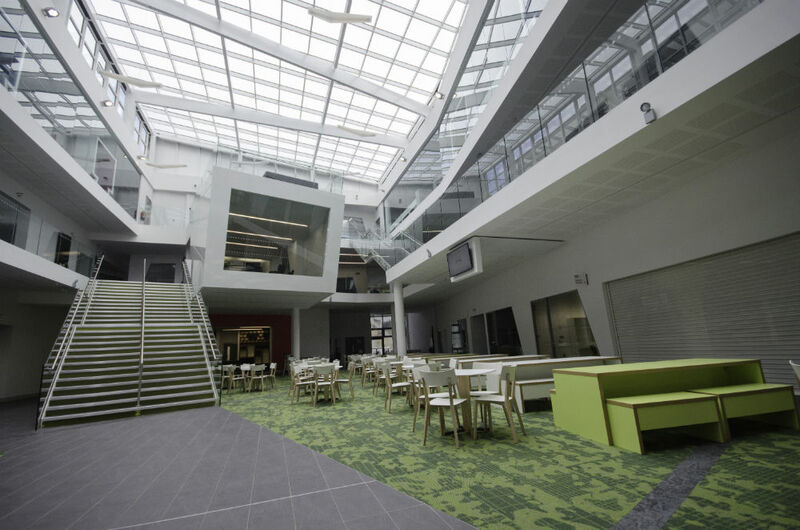 More than 95% of students who responded stated that Heart of the Campus has ‘enhanced their student experience’ with the £27m facility described as innovative, modern, spacious, clean, bright, useful, stylish and open. Designed by Sheffield-based HLM Architects, Heart of the Campus is a three-storey, 10,000sqm building which is home to the University’s Faculty of Development and Society, Student Services Centre, a range of lecture theatres, IT suites, learning spaces and cafes. It also features the Thomas Van Haaren Moot Court – a mock court for law students named in memory of talented Sheffield Hallam law graduate Thomas Van Haaren, who passed away in January 2014 after a long battle with cancer. 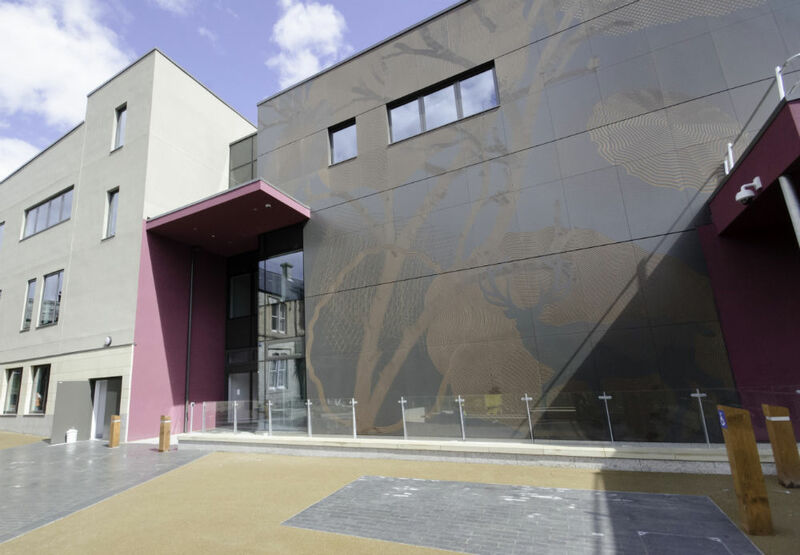 Mr Swales said: “From the start of the project we were clear in our own minds that the development had to reflect the University’s ethos of enhanced teaching and learning while also responding to the character of the local area. “Heart of the Campus is situated in a picturesque, heritage environment and therefore the design had to be sympathetic to this. 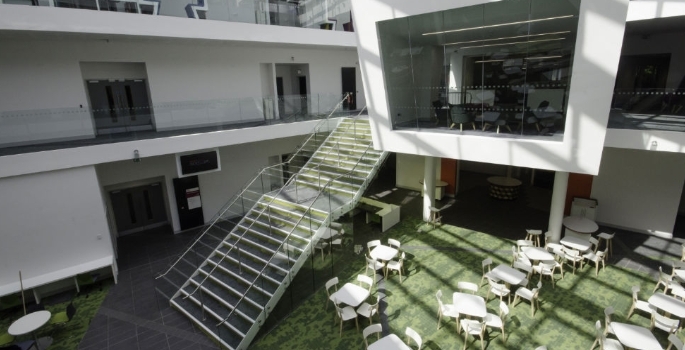 We wanted to bring students and staff together in an open, bright and spacious area with cutting-edge facilities. Architecturally, the building is separated into a series of pavilions connected by a central atrium and glazed links which allow views to listed villas beyond, with all the blocks united by public art commissioned from artist Chris Tipping. Sustainability is at the core of the campus development, with the BREEAM ‘very good’ rated building using ground source heat pumps for heating and cooling. Alongside this, the building is fitted with 100 solar panels to generate free electricity, underfloor heating and a rainwater harvesting system which can filter and store hundreds of litres of clean water. A smart building management system also controls thermal comfort and lighting to minimise energy use. This commitment to sustainability helped Sheffield Hallam University to achieve ‘Gold’ status in the Business in the Community Environment Index 2014. The score of more than 90% for environmental management marked the University as the best performing education institution in the whole of the east region of England. In the short space of time since opening, Heart of the Campus has been recognised as a first-class facility. This April the development won the 2014 Yorkshire Region Award for Structural Excellence. Keith Patrick, project director at GRAHAM Construction, said: “This is a particularly pleasing project for us for a number of reasons. “Aside from the stunning look of the building and its excellent sustainability credentials, the development is situated in a conservation area with a mix of residential and commercial buildings. This meant that the site team and our project partners had to work to strictly controlled hours and recognise a responsibility to people living and working nearby. We achieved this by building a strong relationship with the local community and keeping them informed of what we were doing, when we were doing it and any potential issues that may arise. “We were also committed to working with a local supply chain, using subcontractors and suppliers from across Sheffield and South Yorkshire, including Apex Asphalt roofing, New Dec Ltd painters, HLM Architects and consulting engineers Arup. Of the staff on site, around 70% have been employed from the local area – a number of whom were previously unemployed – and we have also provided eight-week work placements to help people boost their skills and CVs.